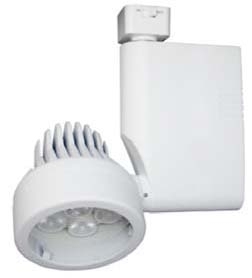 The CTLLED LED Track Head is a high performance LED track fixture. LED technology offers an unprecedented lamp life. Engineered for illumination of retail displays or anywhere high-efficiency and color rendering are desired. Available with four different track adaptors to fit most existing line voltage systems. Also available with stand alone mono point mounting canopy. Available in Spot, Medium and Flood beam distributions. Constructed of die-cast aluminum, the heat sink and driver housing provide a sleek modern look, designed to compliment any space. Available 2700K, 3000K, 3500K and 4000K. Consult RLE for other Kelvin temperatures. Tempered glass lens is standard. 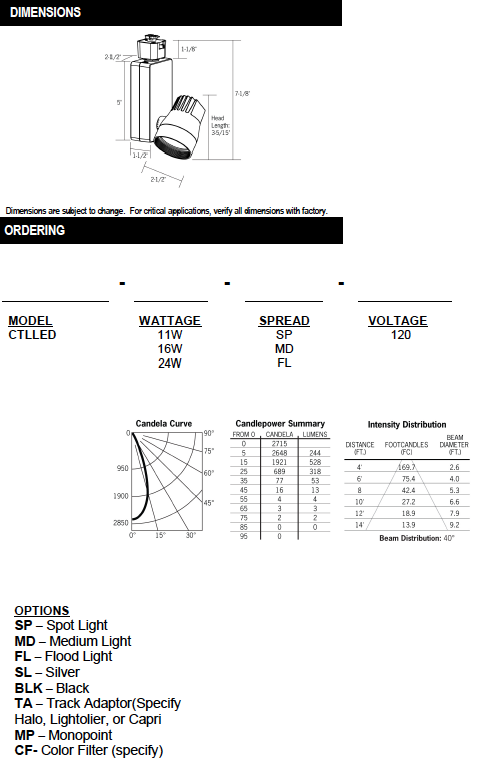 Consult RLE for optional colored lenses and lens patterns.